I never thought that I would become a bag lady (and by bag lady I mean someone who likes sewing bags), but I think that is what I have become. I recently bought a book of bag patterns, the Walden Cooper pattern, and the Grainline Stowe pattern. Out of the three I decided to make Stowe first. Random side note: my sister totally thinks I have a bag problem. We recently went to a Kings hockey game at the Staples Center and security had to search through my purse, my makeup bag, and my knitting pouch. I explained to the woman searching my stuff that the little pouch carried my sock knitting project. My sister thought that as soon as I said that security should have just waved me through hahaha!! 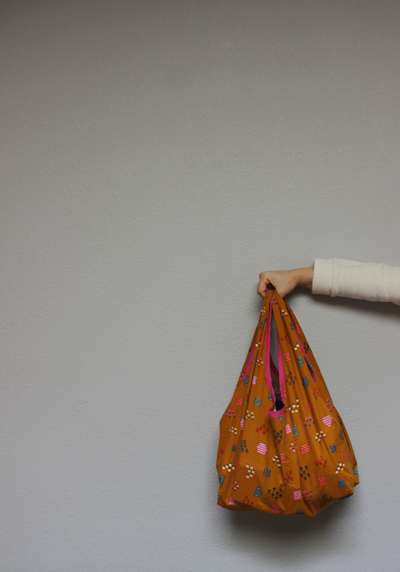 Back to the pattern, this is the large version of the bag sewn up in some fun Cotton and Steel fabric. I don't have a ton to say about the construction, as it was a breeze to make and I had no issues or confusion with the instructions from start to finish. 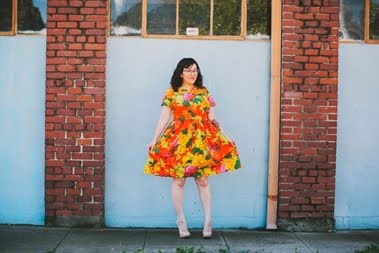 From what I understand there were some questions regarding the last step (15), but Jen (the designer) made a how to video for those who needed a visual. A view of the inside pockets. They are very spacious! 1. These would make great gifts. I'm using mine to store my knitting, but it could be used as a purse, a grocery bag, something to carry your yoga stuff, or a diaper bag. 2. Consider adding a lining. 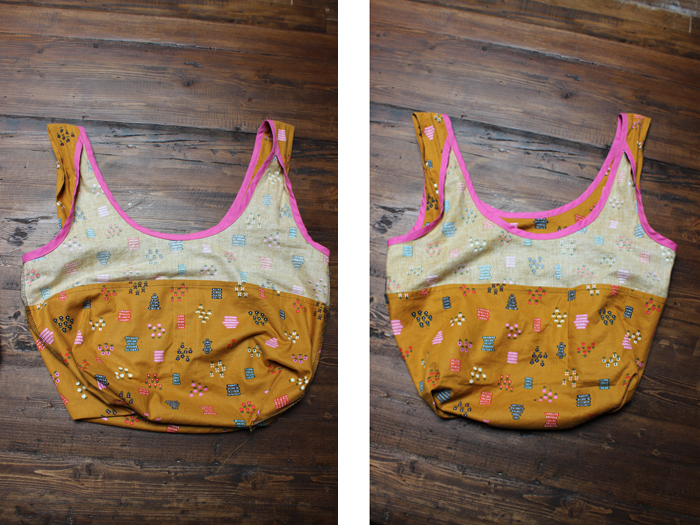 If I made a purse version I would do this to cover the exposed seams. Hey, let's pretend this is one of those magazine articles where the writer asks a celebrity what is in their purse, only this will be more fun because this bag is full of yarn and not chapstick and mints. Oh, and I'm not a celebrity, duhhhhh! So, here is what I tote around in my Stowe bag. See, you can haul around a LOT of stuff! 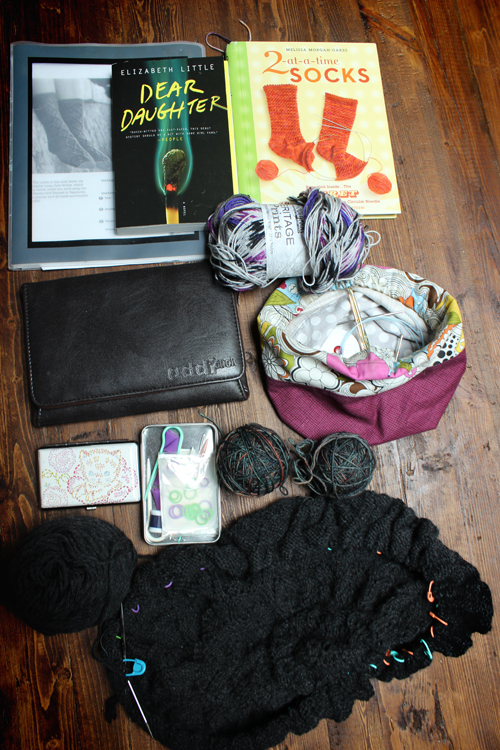 That said, I always carry more than necessary because I like being prepared and like looking at/using yarn and books. And I'm just weird. 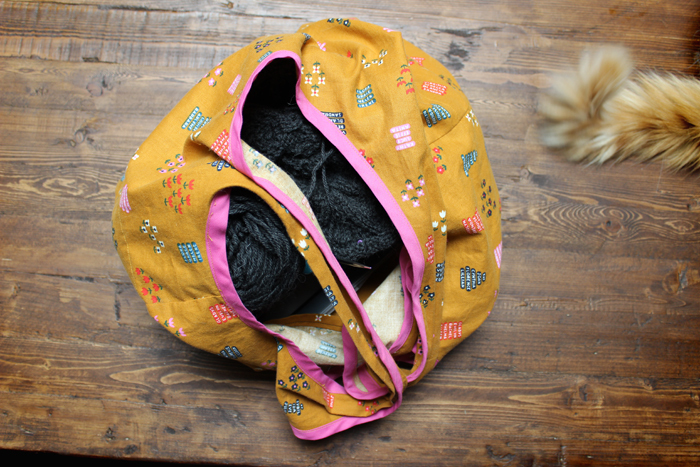 Sooooo what should my next bag sewing project be?!? Are there any patterns that I need to be aware of?